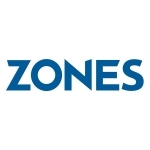 AUBURN, Wash.–(BUSINESS WIRE)–lt;a href=”https://twitter.com/hashtag/Zones?src=hash” target=”_blank”gt;#Zoneslt;/agt;–Zones, LLC., today announced key appointments to its executive and sales leadership teams. Through significant investment in people and organizational alignment, Zones continues to advance as a leading global solutions provider. Dan Pickett, who previously served as CEO of Zones nfrastructure, has been named President and Chief Revenue Officer of Zones, LLC. In this new role, Pickett will be responsible for ongoing strong revenue growth through alignment of corporate, healthcare, and public sector sales; advanced solutions sales; and pre-sales services business units within the Company to enhance value for clients and partners. Additionally, Rich Montbriand joins Zones as SVP of Digital Solutions and will lead solutions sales and pre-sales technical teams, who provide best-of-breed expertise in developing and implementing innovative solutions to help clients transform digitally. Montbriand brings with him a wealth of experience from roles at IBM, Oracle, and Cognizant, where he led the transformation of field sales to advanced solutions teams focused on client digital adoption. Positioning these units under a single leader will generate greater synergy across groups, enabling a more consistent and streamlined client experience. As Zones continues to provide solutions producing positive business outcomes for its clients, this strategic alignment and organizational investment will enable clients to speed up their digital transformation. Zones will also continue to work with its extensive network of leading technology partners to implement solutions that ensure the Company is their clients’ First Choice for IT™. Zones, LLC. is a $2.3 billion global IT solutions provider committed to helping businesses complete their digital transformation by partnering with leading technology brands and focusing on four key Solution Environments: Workplace Modernization, Network Optimization, Data Center Transformation, and Security Fortification. As a certified Minority Business Enterprise based in Auburn, WA, with operations in more than 80 countries around the world, Zones has helped companies of all shapes and sizes successfully transition into the digital age. Visit www.zones.com or call (800) 408-9663 to learn more.